Home » Were US Astronauts Ordered Not To Report UFOs & Aliens? Buzz Aldrin is a brilliant man. Not simply remarkable for his intellect but a deeply spiritual man. Long since retired, Colonel Aldrin now orbits the innermost dimensions of his mind, a secretive universe as deep and mysterious as the far reaches of the moon. As a young airman, my path took me into a close encounter with Colonel Aldrin, more than 30 years ago. As a chauffeur with a radio-operated staff car, I served at Lackland AFB when Colonel Aldrin was undergoing a series of tests there. One afternoon my radio crackled that colonel Aldrin would need a ride to Wilford Hall, the large base hospital. Sadly my car wasn’t chosen. I’ve often wondered since then whether the “nervous breakdown’ this remarkable astronaut suffered was due to the government pressure or not. I think it was. Why did Colonel Aldrin suffer a “nervous breakdown’ at that time? The weight of sudden celebrity, certainly. Deification by the adoring press and masses. But there was something more. According to Fred Steckling, author of the book, We Discovered Alien Bases on the Moon II, Aldrin might have wanted to proclaim the truth of what he saw. Very likely, Pentagon and White House officials, fearful as always, would have cajoled, convinced or threatened him not to do so. There are buildings on the Moon.There is mining equipment on the Moon. NASA knew about ‘alien’ activity on the Moon before Armstrong, Aldrin, and Collins ever set foot on it. Edwin Aldrin at one point found evidence that we were NOT THE FIRST to arrive on the moon. After first seeing and then taking photographs of footprints in the lunar soil (Aldrin) then saw the beings that made the footprints (the report and transcripts of conversations between the astronauts were not clear if Aldrin had physical and/or mental contact with the entities). How much of the above account is fictional and how much fact? Only those who went to the moon and back know for certain. 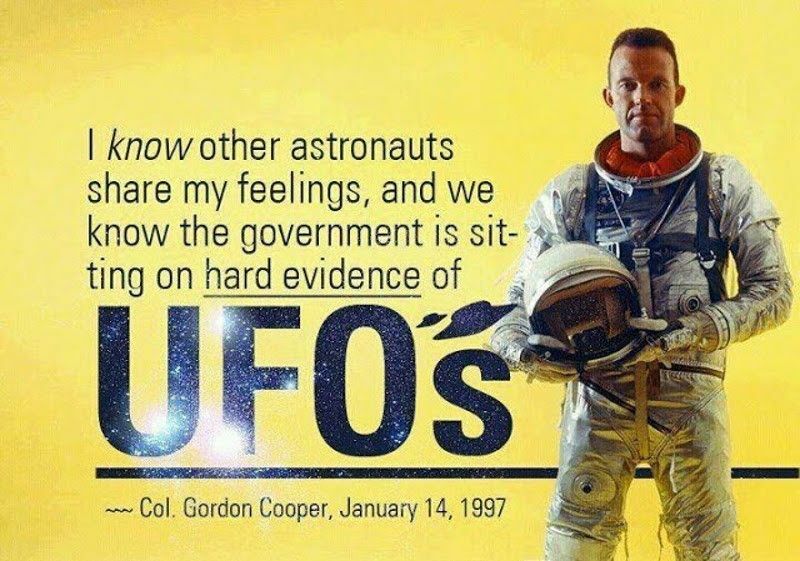 There are many second-hand accounts and alleged conversations, (Google UFO Sightings by Astronauts) where both Aldrin and Armstrong state, in no uncertain terms, they saw huge ships and other signs of alien occupation of the moon. Return to Earth, Aldrin’s autobiography, tells of his struggle with depression and alcoholism following his long and dedicated USAF and NASA career. Did NASA, CIA and the Pentagon compel Colonel Aldrin (and every other astronaut) to conceal what they saw on the moon? How much did this contribute to Aldrin’s mental problems? Some time ago the Science Channel aired a program called “First on the Moon: The Untold Story.’ One segment described a UFO encounter that Apollo 11 astronauts witnessed during flight to the moon. Aldrin spoke of something he saw. ‘To the best of my knowledge, this is the first time that Buzz Aldrin, an Apollo 11 astronaut, had ever publicly recounted any UFO experience associated with the Apollo 11 moon mission,’ wrote Dave Stone. “NASA knew very little about, um, the object reported by the Apollo 11 crew. It was obviously an unidentified flying object,’ said Senior NASA scientist, Dr. David Baker. “But such objects were not uncommon and the history of even earth orbit space flights going back over the previous years indicated that SEVERAL CREWS SAW OBJECTS” (emphasis mine). The S-IVB served as the third stage on the Saturn V and second stage on the Saturn IB. It had one J-2 engine. For lunar mission it was used twice: first for the orbit insertion after second stage cutoff, and then for the trans lunar injection (TLI). Now NASA reported the separated stage 6,000 miles behind. Obviously they didn’t detect any UFO.